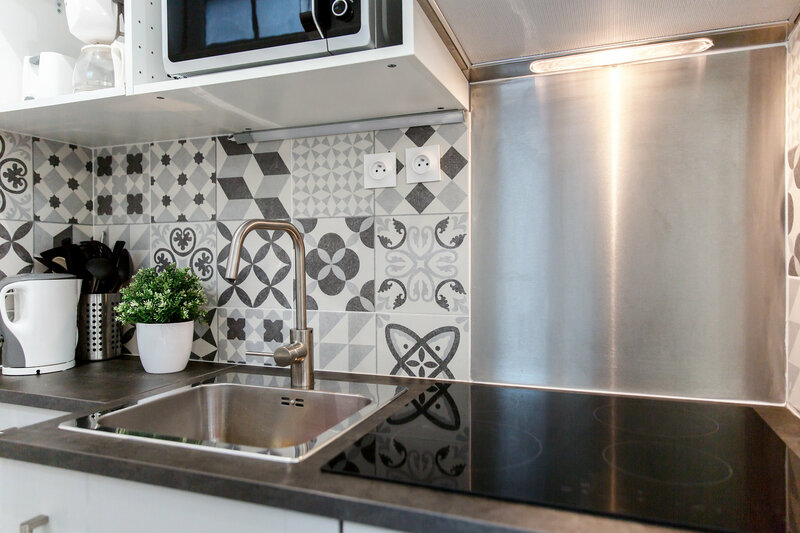 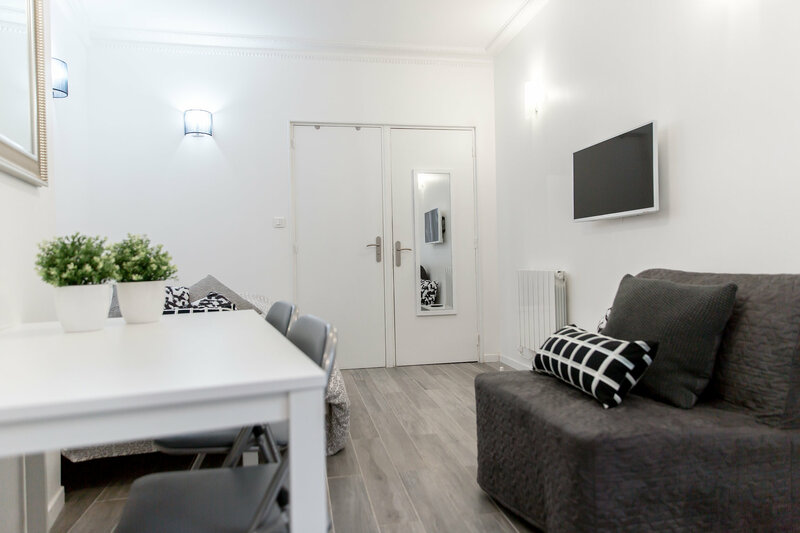 This 22 m² apartment has recently been entirely renovated – it leaves a spacious 2 bedroom apartment which can ideally sleep 4 people. 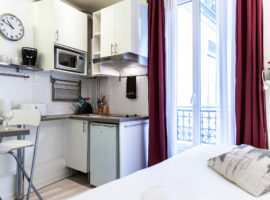 The Matisse apartment is perfect for a small family. 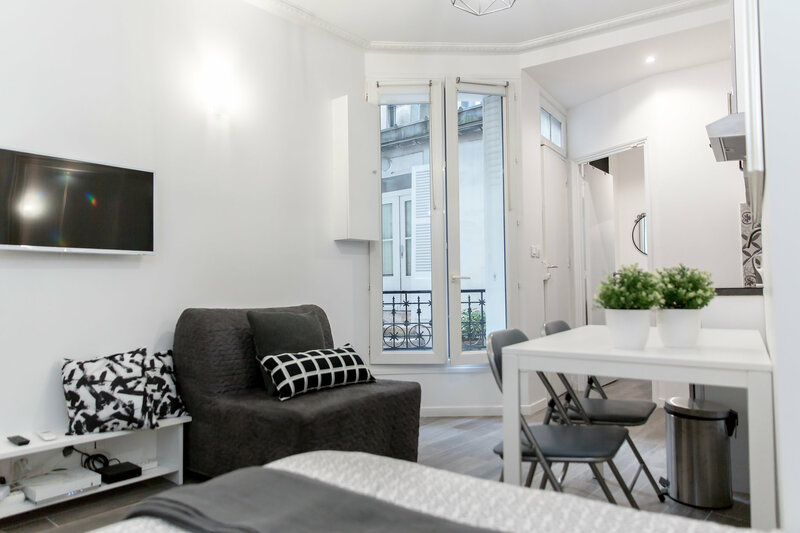 With the grey and white neutral tones, the apartment is portrays a classical Montmartre neighbourhood. 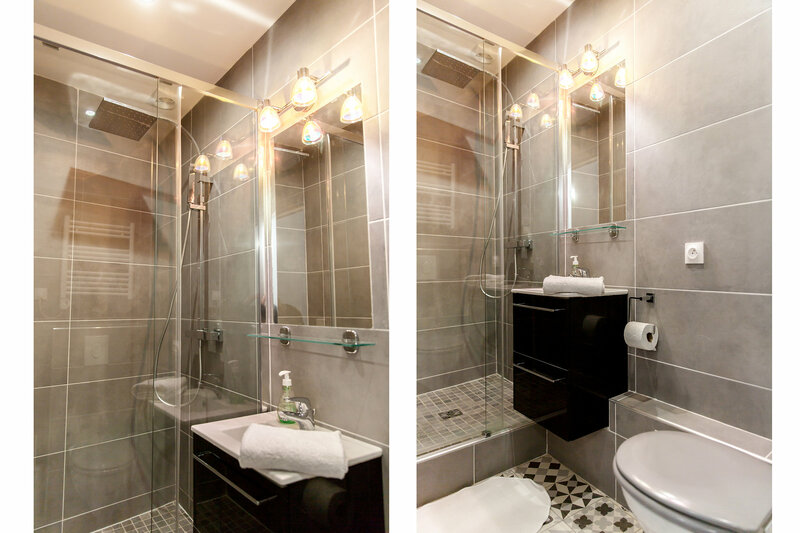 You will feel at home in this newly redone 2 bedroom apartment. 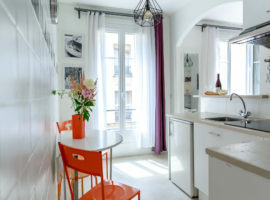 With a fully equipped kitchen and bathroom (washing machine, dishwasher, Wifi etc available). 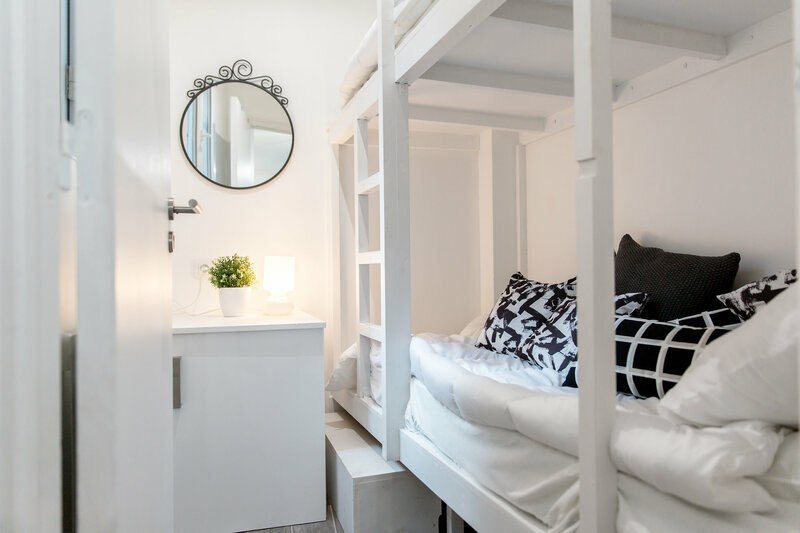 The apartment comprises of 1 double bed and two bunk beds in a separate bedroom. 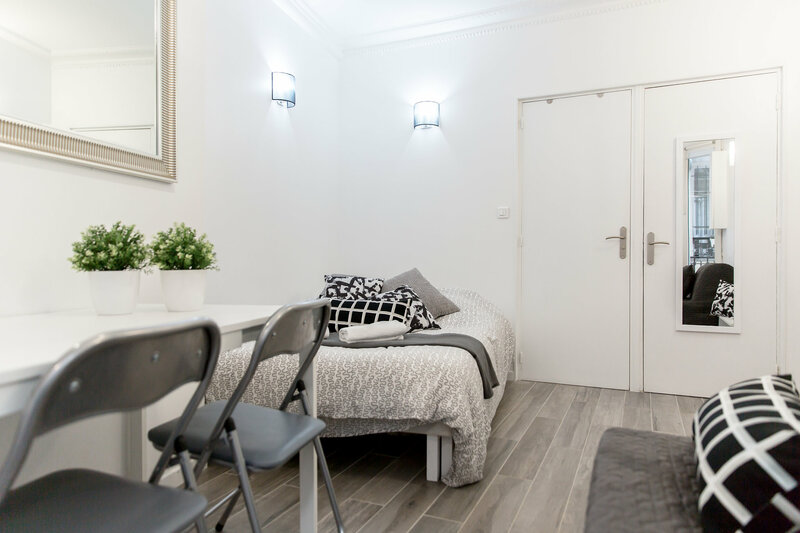 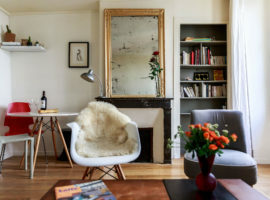 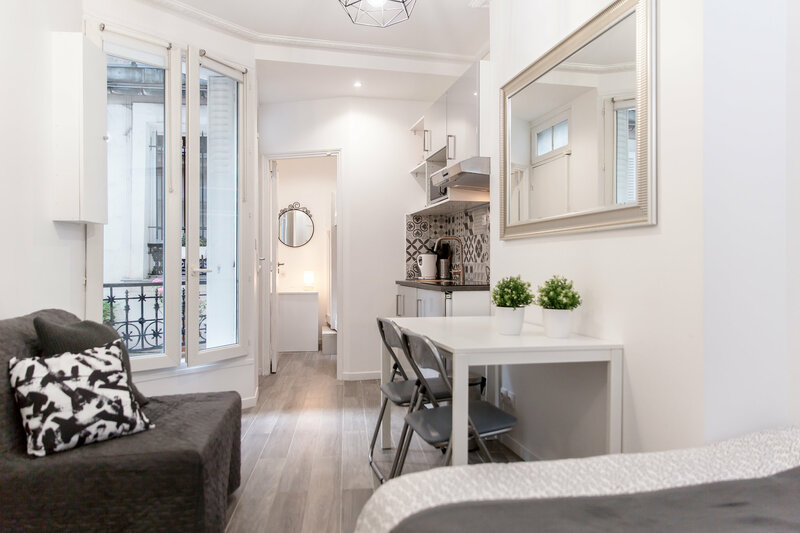 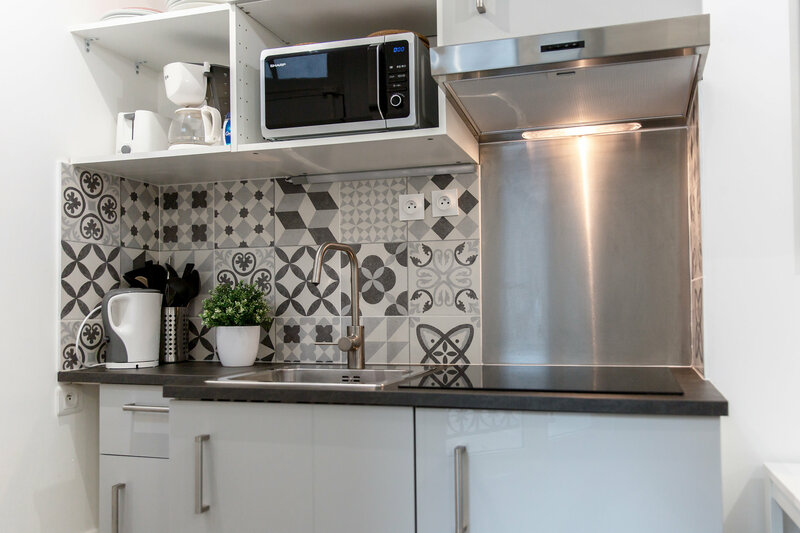 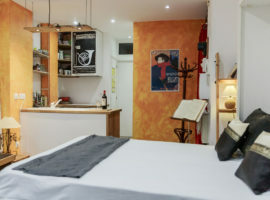 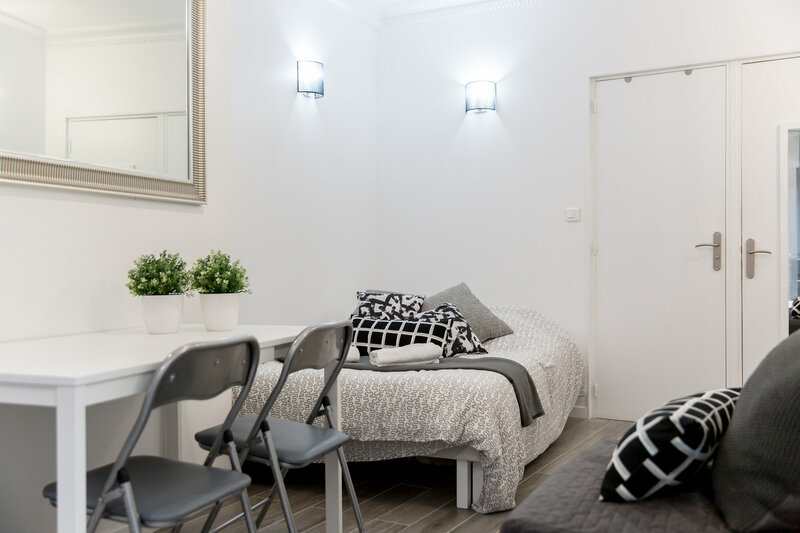 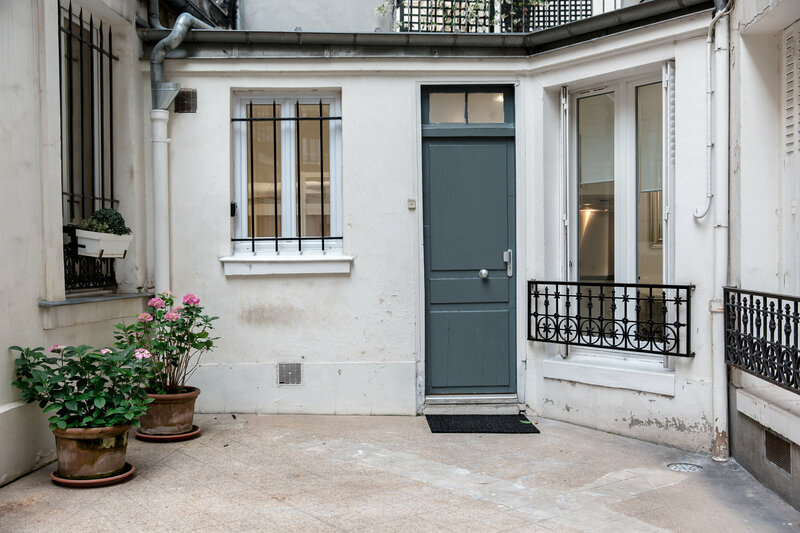 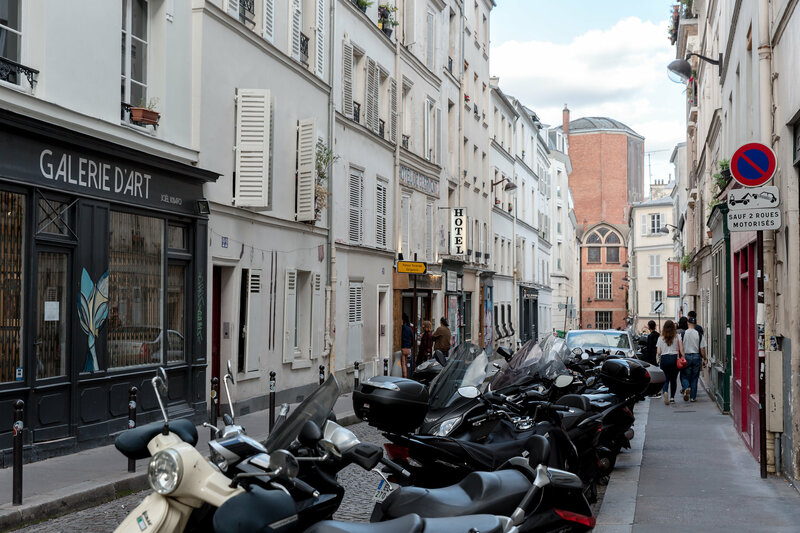 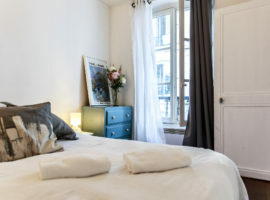 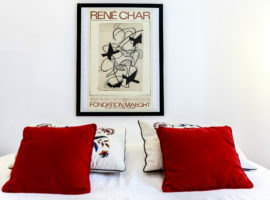 Located in the very lively neighbourhood of Montmartre, the apartment is in a quiet street very close to all the shops, boutiques, bakeries, cafés and restaurants. 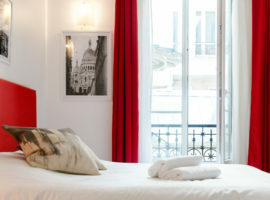 Only 5 minutes away to the Moulin Rouge and 15 minutes walk to the Sacré Coeur. 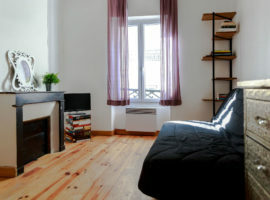 The apartment has the perfect location and the best activities to discover in the area.